The two events, sponsored by the Capital City Writers Association, were held in conjunction. First the panel, then the signing. The authors were very personable when they introduced themselves. They discussed what they write, they told about their books and latest releases, and then took questions from the audience. They also exchanged banter amongst themselves that amused their audience. There was a sizeable turnout and the authors sold a lot of books. It was a very successful evening. On the drive home, I pondered what made this book signing so much more successful and enjoyable than other book signings I’ve attended. You know what a typical book signing is like. 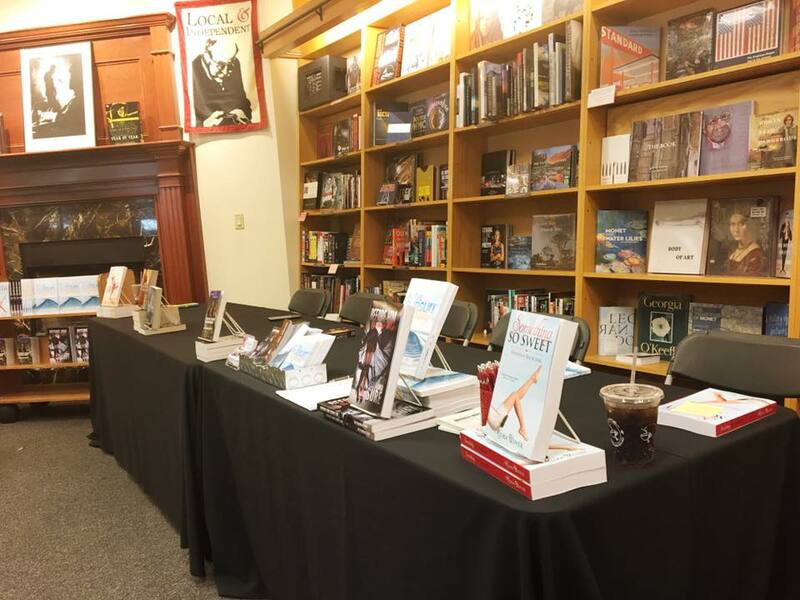 An author, or two or more authors sit at a table at the front of a bookstore with their books stacked in front of them beside promotional pens and bookmarks to give away. A poster out front publicizes the signing for passersby. So uninspiring. Some authors set out candy or cookies at their signings to lure readers to their table, silently hoping that a reader with a sweet tooth will buy at least one book. So desperate. Authors signing solo sometimes persuade friends to accompany them for moral support. Occasionally their friends volunteer to act as shills. They buy a book to prime the pump and also talk up the writer to prospective buyers so the signing won’t be a complete waste of time. So devious. A light bulb flashed on over my head as I drove. (Not one of the car’s overhead cabin lights, mind you.) 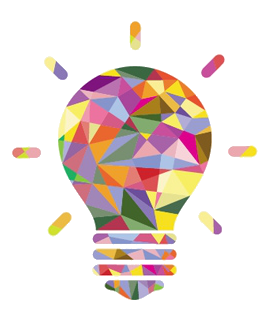 It was a brilliant epiphany light bulb. Suddenly I knew the key to a successful book signing. I witnessed it on Tuesday evening but didn’t realize the implication until I remembered something MG once said about selling. He told me that a good salesman just sells his product. A great salesman sells himself as well. In a way, that reminds me of author branding. 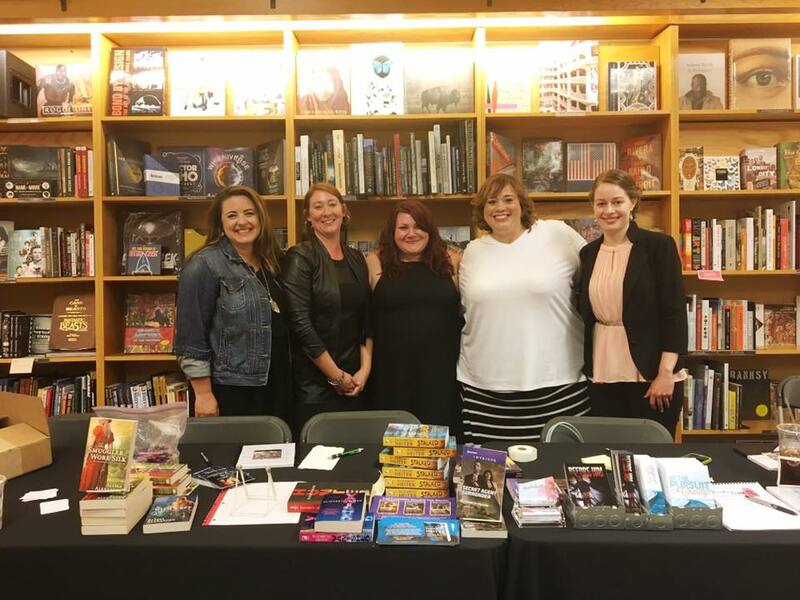 Tuesday’s author panel allowed the audience to get to know and like the authors as people—their personalities, sense of humor, personal stories, and why they became writers. They were no longer strangers who wrote books. Their interaction with the audience made them accessible—the kind of folks you’d like to join for lunch or drinks. In effect, participating on the panel prior to the signing gave the authors the opportunity to sell themselves to the audience first. 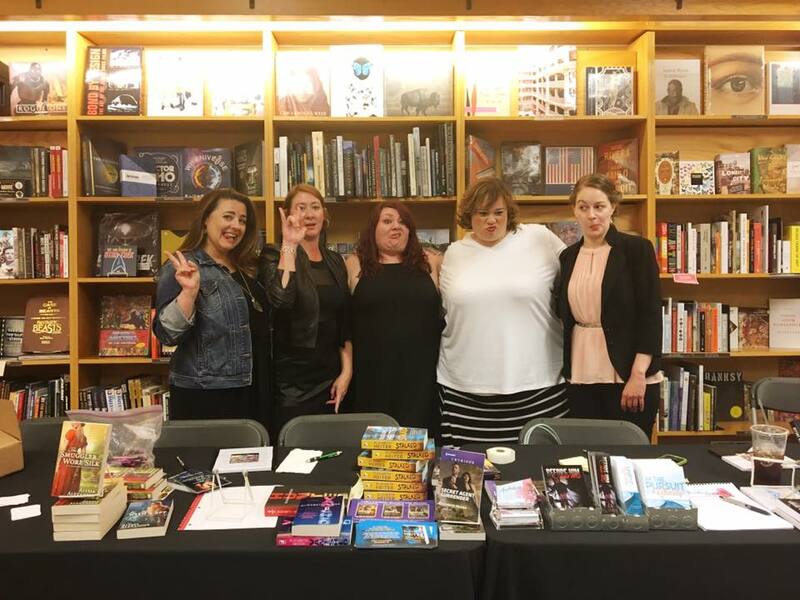 All of which led to the book sales on Tuesday evening, enabling the authors to acquire new readers, and will undoubtedly lead to sales of future titles for these authors. In my humble opinion, the following is a sure fire recipe for a successful book signing event. Feel free to share this recipe (that I swiped from the CCWA) with all your writer friends. Sounds like a wonderful event! Congrats to all the women who presented! It really was a blast! Hope you enjoyed it!